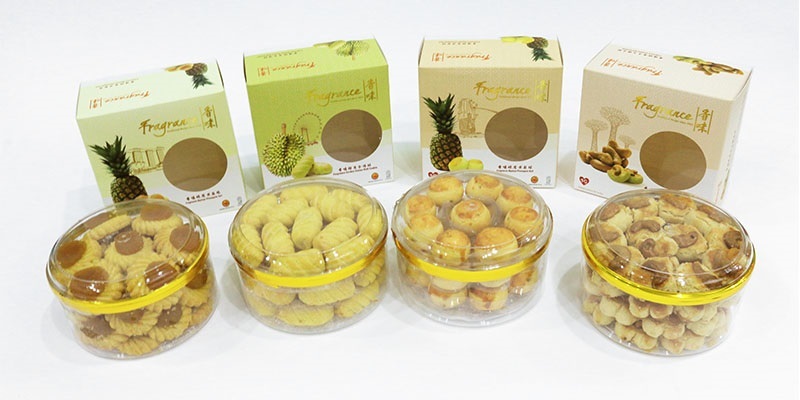 Fragrance Bak Kwa Corporate/Bulk Order @ Factory Price! Place your order before 7th January 2019 and get up to 4 Boxes of CNY Goodies Boxes (Worth $64.20)! Place Your Order Early & Get More! *Goodies Boxes will be given during delivery or self-collection. Our customer service will contact you before the delivery date to confirm your preferred cookies. Requirements to be eligible for the Early Birds Specials! No splitting of orders allowed as promotion is valid by Per Customer/Per Delivery Address. Order & payment to be made before above mentioned dates. Any orders or payment that come after will not be eligible for the promotion. Minimum Order of $800 required to enjoy our bulk order discount! Get up to 24% discount if you order now! Bulk Order @ $42.60 per kg. Minimum order of $800 is required. 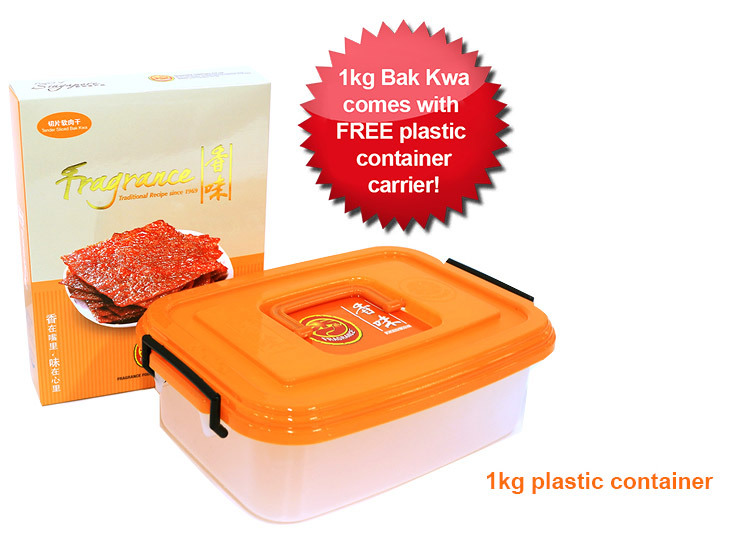 * Every 1kg pack of Bak Kwa purchased will be packed in a plastic storage container (while stock last). * Every 500g of Bak Kwa will be packed in a paper box. * All Bak Kwa purchase will be vacuum packed in 500g unless otherwise stated. 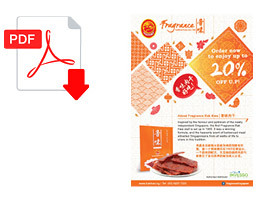 * Vacuum packaging will ensure freshness and quality of Bak Kwa for up to 2 months before opening. For Self-collection, we will need at least 1 working day to process the order. For same day collection, please call us prior to coming down. For Delivery, we will require 2 working days to process the order. To enjoy this special pricing, minimum order of $800 is required. This order is not valid with voucher or any other discount. No membership points will be awarded or redeemed. Pricing stated will not be subjected to additional GST charges. Pricing are final. Items are available while stock last. The management reserves the rights to make amendments or cancellation without prior notice. Copyright © 2019 Invesso Pte Ltd | Fragrance Foodstuff Pte Ltd. All Rights Reserved.